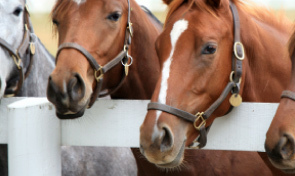 The Horse Report is a free bi-monthly magazine covering a wide and varied range of equestrian news. 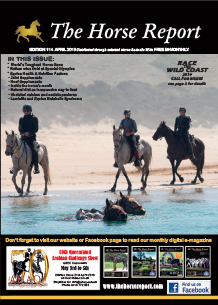 It is a full colour magazine containing a balance of news items, educational articles and columns, coverage and a calendar of shows and events and information of new items and products in the equestrian world. Over the years, The Horse Report has secured reputable and recognised columnists such as farriers, nutritionists, trainers, vets and other professionals to keep our readers up to date as well as providing a convenient source of useful and practical information. Subscribe to The Horse Report via email now. The Horse Report continues to be a very popular publication and is now distributing 14,000 printed copies through saddleries, produce stores, local events, clubs and associations, selected outlets throughout Australia and subscriptions. In response to reader feedback, from April, we have added a new dimension to the magazine called THE HORSE REPORT MONTHLY ONLINE EXTRA. This is an easy-to-read online magazine that is available through Facebook, on Issuu.com or our website, thehorsereport.com. It is also emailed out to thousands of readers and clubs all over Australia. THE HORSE REPORT MONTHLY ONLINE EXTRA will be out in the first week of each month and will include all the useful information readers can find in the printed magazine plus some new columns. Our expanded on line presence will allow for more photos and coverage of shows and events - a bonus for readers. But there is an added bonus for advertisers as well. For our many regular advertisers that have supported The Horse Report over the years due to the wonderful results that they get from our publication, this will be a bonus as you will not only get advertising in the bi monthly printed magazine but bonus advertising in the monthly online magazine. There will also be an option of discounted online only advertising. to promote and display your product and provide editorial content. We appreciate the support of our advertisers and recognise the importance of getting the best value for the advertising dollar. magazine plus advert design and layout which is all included in the price. The Horse Report magazine will continue to provide the Australian equestrian world with a quality free publication that people can enjoy anytime at their leisure. But now, we look forward to providing that something extra so that even more people can enjoy what The Horse Report has to offer. We hope you do to. The word is spreading - advertise in The Horse Report - be seen and get results. Call us today and find out just how easy it is. Book advertising for 12 months and receive a 10% discount.